Omega has been around for a long time, 1848 to be precise. After 100 years of developing movements and watches it was time to celebrate. 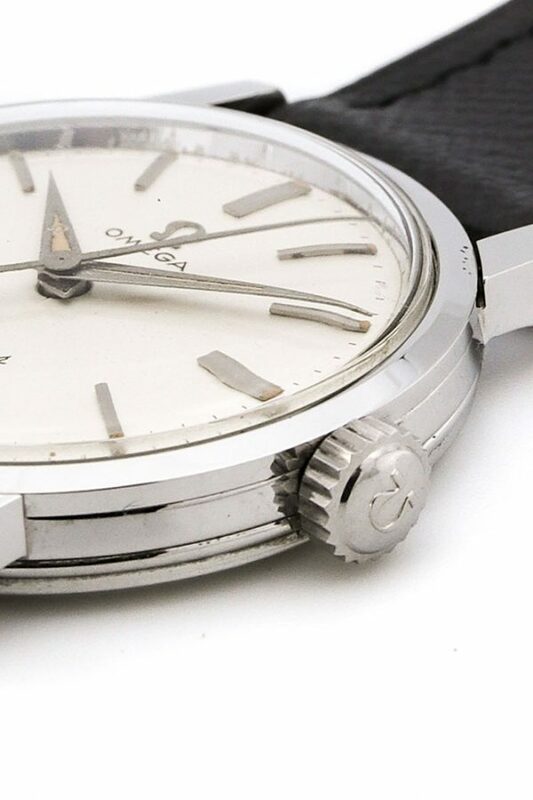 In 1948 the Omega Seamaster emerged on the market as an anniversary watch, but it has become the most varied and popular model of Omega throughout its history. 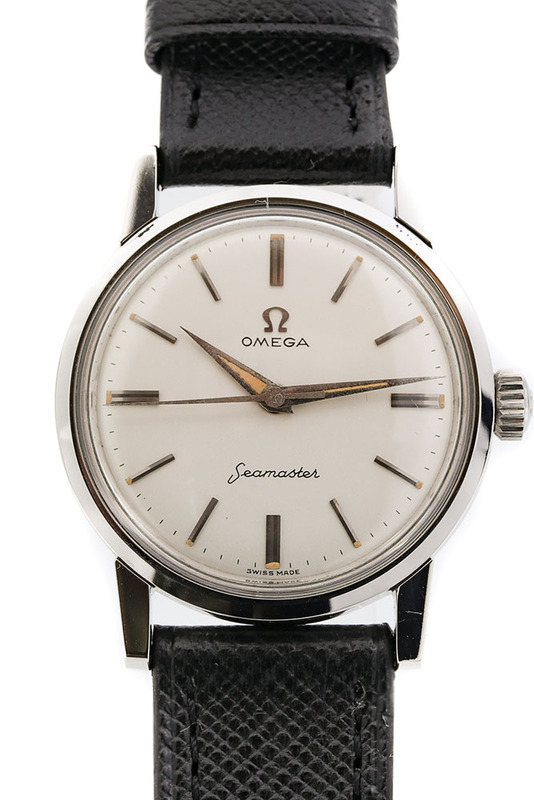 The first Seamaster was inspired on some World War II designs; a round stainless steel case which was watertight and easily legible. The watch was to become a robust multi-functional dress watch but it has become so much more than that. 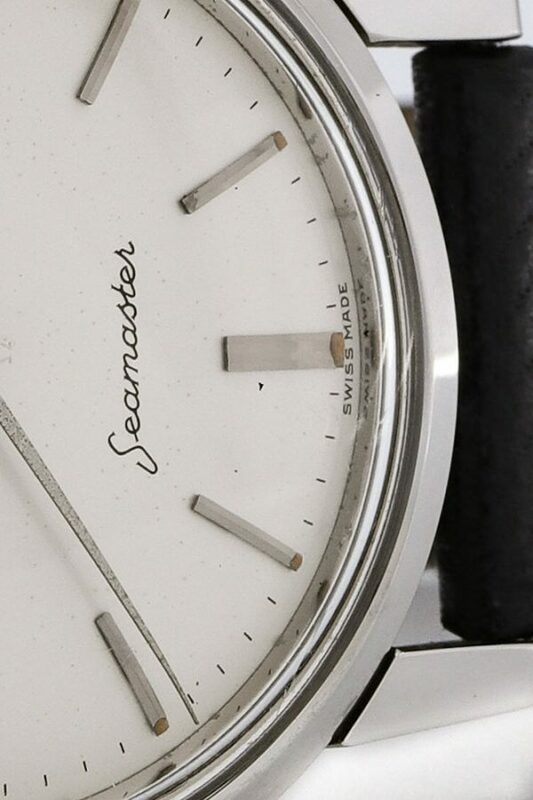 The round case with squared straight lugs hasn’t lost any of its beauty. 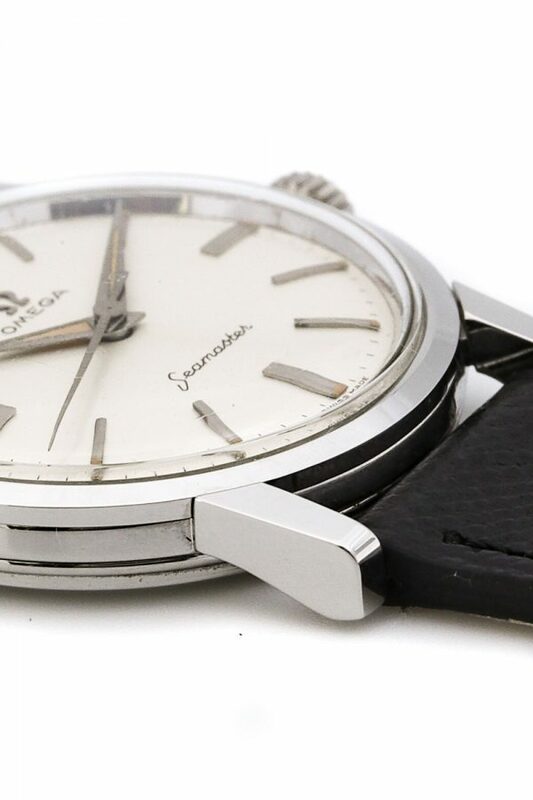 The case looks timeless and the stainless steel is still as glossy as it was in 1958. Combine this with the beautiful silver dial and this watch will finish any outfit without a problem. The design is modest and clean and exactly that is what makes it such a timeless and beloved piece. 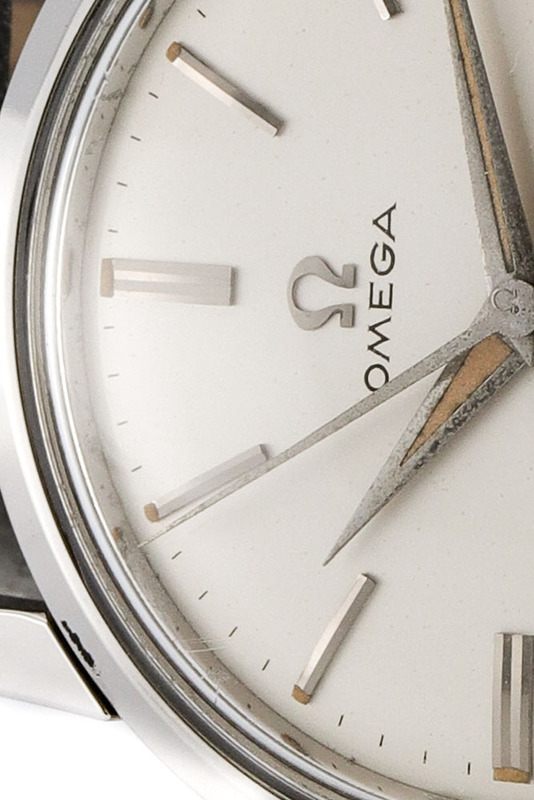 There are two reasons why this watch still breathes a vintage character though. The domed plexiglass and slightly domed dial give the watch a typical 1950s design, but the hands, they make this piece a real vintage one. The alpha hands still got all its tritium in there which is seen very little on watches of this age. The tritium has gained a very pretty patina which is best described as a ‘cantaloupe’ type of orange. This warm colour gives is an exciting detail of the face of this watch. 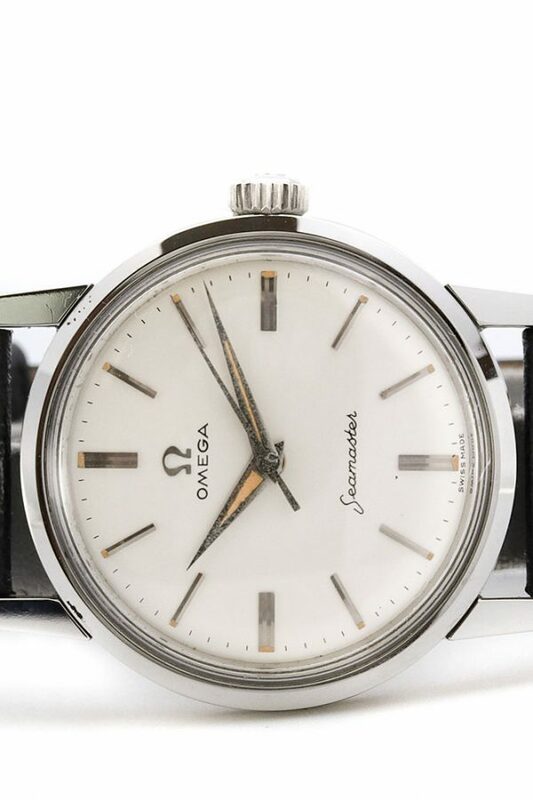 We always have many Omega dress watches in our store and we’re happy to add this one to our collection. Visit our store and let us show you what we’ve got. We’re located in the Reestaat, Amsterdam.